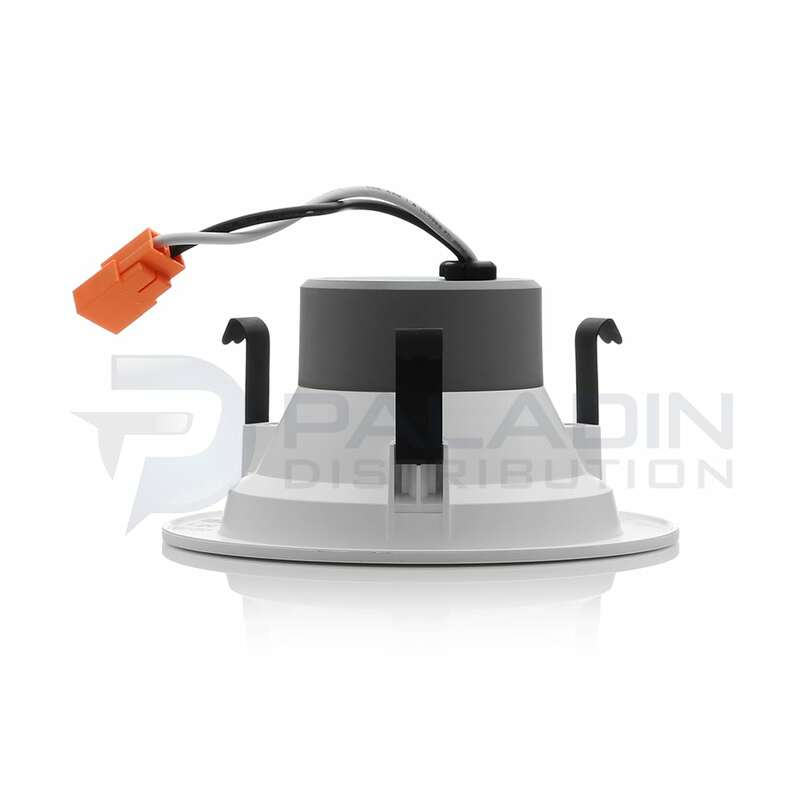 This 4” Recessed downlight retrofit solution is with integrated LED power supply and thermal management system combined in a single compact unit designed to fit most standard 4” recessed cans. 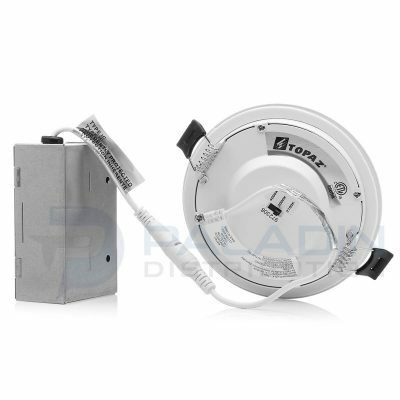 Designed to fit with most 4 Inch recessed can housing, simply plug and play. 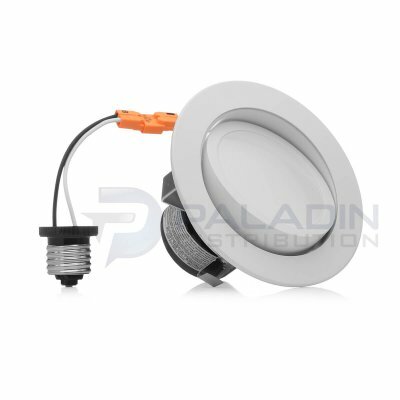 • Long Life LEDs with up to 50,000 hours at 70% lumen maintenance. 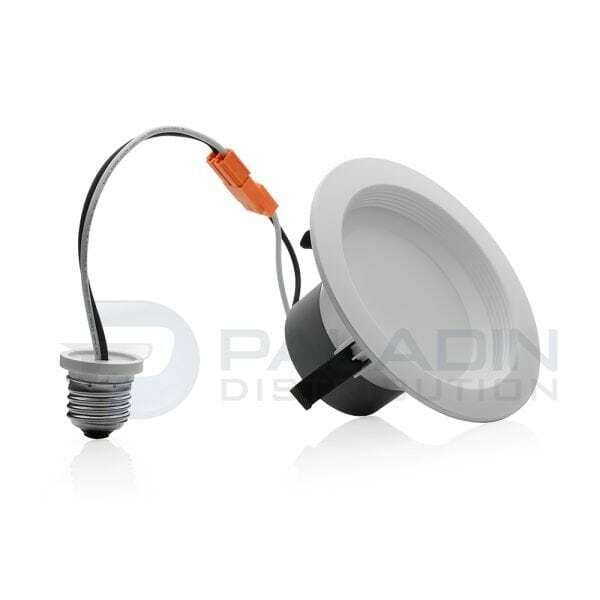 • Choice of 2700K, 3000K, 4000K or 5000K color temperature with 80 CRI. 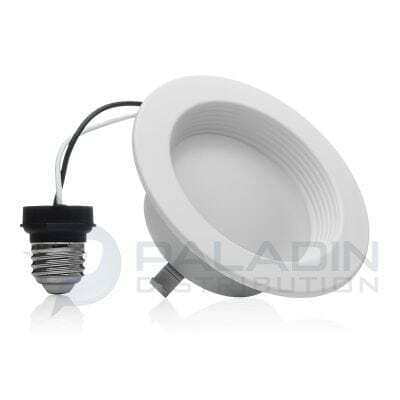 • Produces 550-610 lumens output from luminaire. 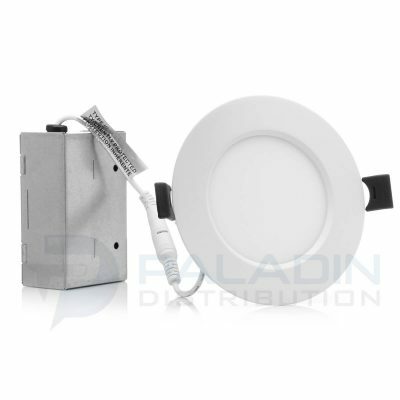 • Down to 10% dimmable with most dimmers. • Operation temperature of -20°C – 40°C (-4°F – 104°F). • Power Consumption: 8 Watts. 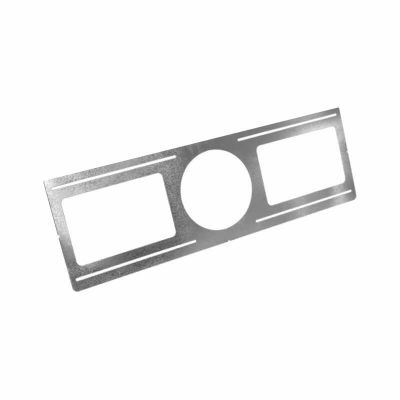 • Easy installation with integral clips. • No tools required for installation. 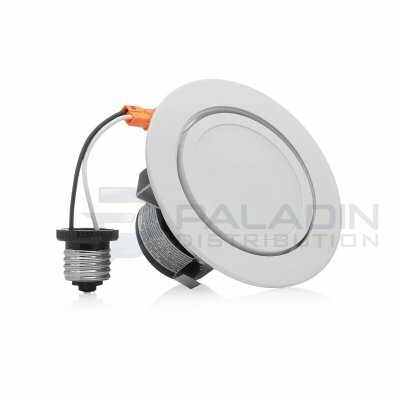 • Compatible with most 4” recessed cans. 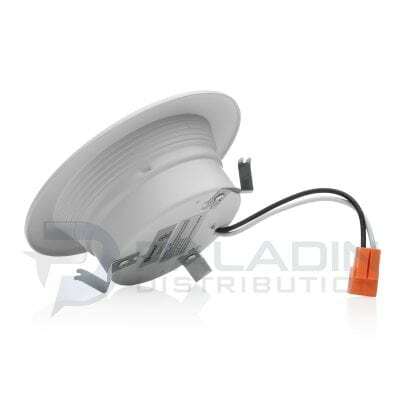 • E26 medium screw-base Edison connector provides easy retrofit of incandescent housings. • Compatible with insulated, non-insulated and air-tight ceilings. 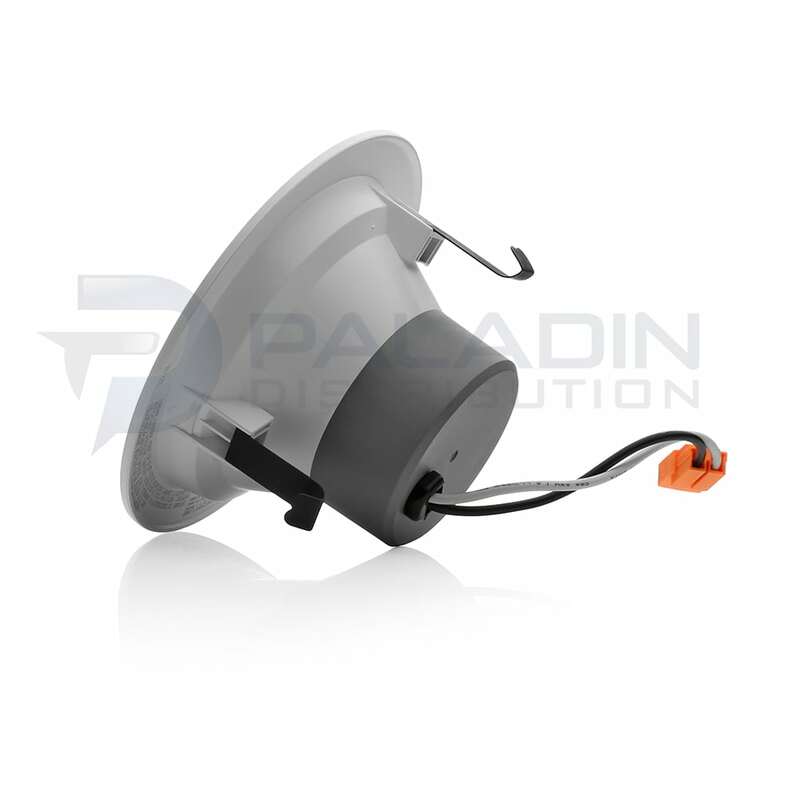 • 4” square baffle snap-in (option). 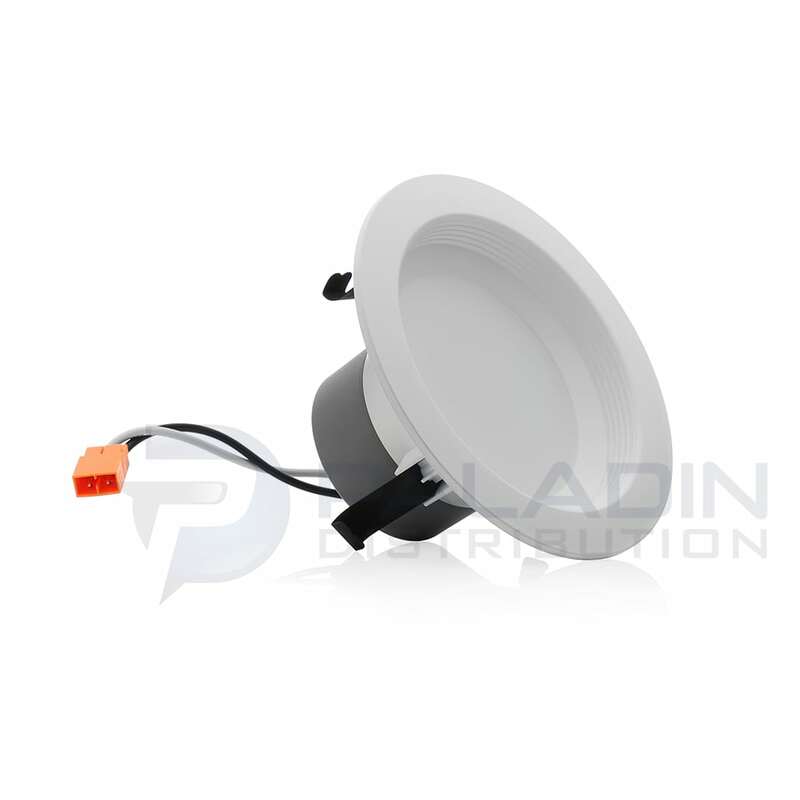 • Tested in accordance with IESNA LM79 & LM80. • ETL Listed for wet location. • Passes FCC Class B.